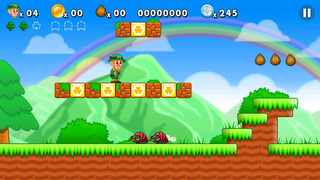 "Lep’s World" is a legendary platformer, with nearly 100 million downloads! So, get in on the fun! 5/5 – "The best game ever! I love it so much, I can’t stop playing it!" 5/5 – "It’s a lot of fun, regardless of your age!" 5/5 – "This is the best app on my iPad, by far! Highly addictive!" 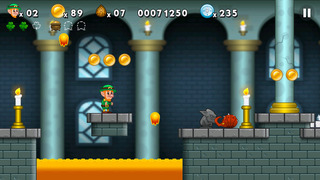 Lep the leprechaun has lost his gold, so to find it he needs you to help him run and jump through the fantastical realms of Lep’s World. Be careful, though. This place is full of beastly monsters, and they’ll do everything they can to stop little Lep. If you collect a cloverleaf, Lep’s health grows. Ah, but health alone won’t keep Lep out of trouble. Even an angry bee could sting him! 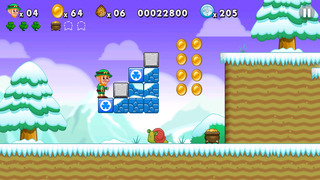 Use your smooth, easy moves to guide Lep on his adventure. It’s "forty shades o’ fun"! Note: Lep’s World Run is out now. 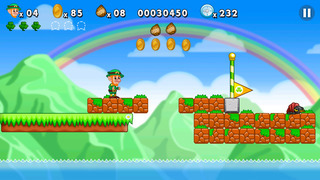 We highly recommend to check out the new game of the Lep’s World Series! Follower Boost for Instagram - Get More Followers Fast And Free! !